'This is a great cottage for a couple. The renovations have been extremely successful. tiny point - would be nice to have a non-stick frying pan for eggs.' - Mrs Waldron, April 2017. 'The Cottage was very comfortable and equipped to a very high standard.' - Mr Wilkinson, March 2017. 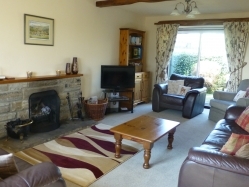 'A lovely cosy and well equipped cottage in a very nice village. A good base for walking and exploring the Yorkshire Dales.' - Mrs Lea, March 2017. 'Central location. Comfortable bed. Cosy character cottage. Overall, a great base for ones holiday.' - Mr Earnscliffe, April 2016.